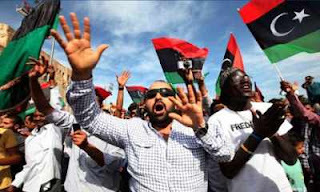 Recently in the port of Tripoli, Libya an Italian ship comprising of crew members from Italy (8), Indian (2) and Ukraine (1), was detained by the armed men as Jets belonging to the US-led war alliance have carried out airstrikes against the nations. The Italian Ship ASSO 22, belongs to Augusta Off Shore Society, was sending staffs of the ENI Petroleum Co. to Libya. it arrived in Tripoli on Saturday afternoon after the staff departed, the crew was held up by the armed personnel of the port. You have proved you are, some other time you will follow. Who gave you this right? You can’t scare us with your bombs and attacks. 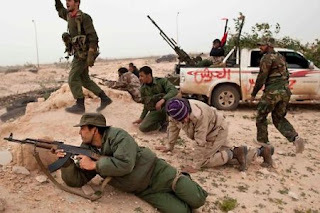 Libyan state television says 48 people were killed and 150 wounded in the strikes, including civilians. It is reported by BBC that Canada is also sending warplanes to the region, China, Russia , India and the African Union have condemned the military effort. 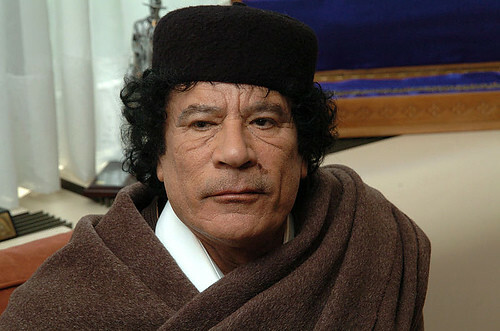 Gaddafi has promised retaliation, saying he will open arms depots to people to fight the allied forces.